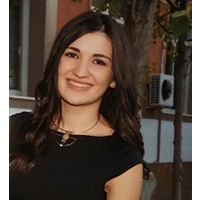 Evmorfia Blontzou is a doctoral candidate at the Department of Banking and Financial Management, University of Piraeus. Her doctoral dissertation studies essays on equilibrium prices in thin financial markets. She holds a B.Sc. in Mathematics from the University of Patras (Division of Statistics, Probability Theory and Operational Research) and a M.Sc. in Finance and Banking from the University of Piraeus. In her M.Sc. dissertation, she studied the relation between CDS and bonds markets through the lens of theoretical models.